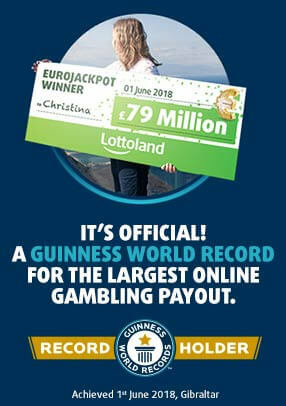 Lottoland HQ received a very important visitor this week, our recent winner of a £10.86 million German Lotto jackpot. He was given a full award ceremony and presented with a giant cheque by Lottoland CEO Nigel Birrell. In a quick interview he also told us how he felt about the win and what his plans for the future are. Our recent winner of the €14.04 million (approx. £10.86 million) German Lotto jackpot was flown to Lottoland HQ this week to get a full tour of the premises. 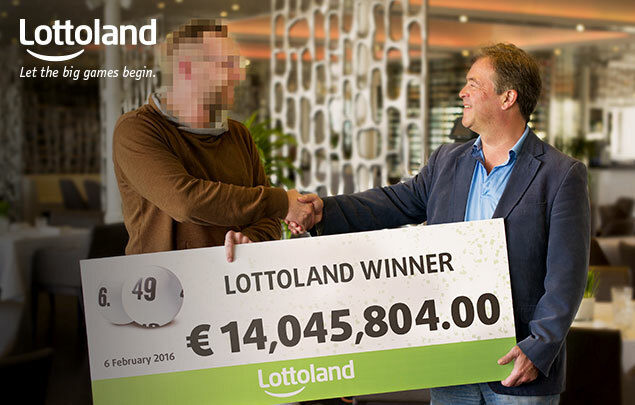 Later, in an award ceremony, he was presented with the obligatory giant cheque by Lottoland CEO Nigel Birrell. Our latest winner has only told a handful of people about his win so far and has opted to remain anonymous. For this reason we can't mention him by name. It's also why his face is pixelated in the above image. What we can tell you is that he's a shy, sensible and hard-working German man who's still coming to terms with his massive windfall. "I had to sit down to understand whether it's a dream or reality", but reality it most certainly is." "I got 100% confirmation. The money is on my account. I have requested already the first transaction to my debit account to clear off debts and loans." "I am really, really happy I can't even describe it in words… Now I don't have to focus on the money anymore and can go on holiday two or three times a year. If I want something I don't have to wonder whether its financially possible and just buy it…." And what does he plan on buying? "Maybe a house, now that I don’t have to watch the money, a house with lots of space and some proper furniture… also two cars, one for me and one for my girlfriend. And I want to give some money to my parents and my sister." This win marks the second big win this year. In January we had two UK PowerBall winners each scooping £34k each. Meanwhile we had another big win in Germany, when a chance game netted one German player the euro equivalent of $2 million US! In other words Britain is trailing behind Germany in terms of big, six-figure wins. Of course Germany is a much bigger country, and we've got far more players there, and …excuses! It's time for a British winner now! And we've got lots of great lottery jackpots to bet on, including the massive MegaMillions and PowerBall!